Wonder what the Smart or Plus food score value is for that Fast Food meal? Stop wondering and use this app to show you EXACTLY what the food score value is for what you just ATE! On Sale for $2.99 LIMITED TIME ONLY! Regular price $7.99! The ONLY restaurant guide in store with 250+ restaurants, favorites list, location search, and constantly updated menus!! It has food score values for classic & new systems! So you are trying to lose a few pounds and it's going good... BUT it's soooo hard to track when you EAT OUT at restaurants!!! It is so frustrating when you don't know the food score values of the restaurant foods you are eating!! BUT wait... you have your phone with you 96% of the time (except the shower... at least I hope :p) So that means that you have a HUGE database of restaurant food score values with you wherever you GO!! That's exactly what this Restaurant guide app does for you! It gives you all of the restaurant food score values, calories, carbs, protein, and fat scores for ALL of the foods on the menu! Purchase this Restaurant guide app now to ensure your weight loss success and enjoy a long, healthy, and happy life! P.S. This app is on Sale for $2.99 LIMITED TIME ONLY! Regular price $7.99! P.P.S Get this now so that you don't fall off the wagon! √ Over 250 Restaurants included! 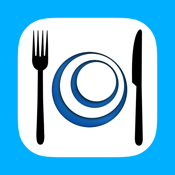 √ Use this app also to know the food score/calories you will consume and what to order. √ Provides you with food score values(classic and new), calories, carbs, saturated fat, total fat, sugar, sodium, and protein of food items of most popular restaurants and fast food chains and growing! √ Screen is re-sizable. You can make it smaller or larger with your fingertips. ◆◆◆◆◆ - "So much info! Great app for anyone trying to lose weight." ◆◆◆◆◆ - "Has all the restaurants that I go to! LOVE IT!!!!" ◆◆◆◆◆ - "This is my most frequently used apps!" ◆◆◆◆◆ - "This app makes tracking so much easier!!"